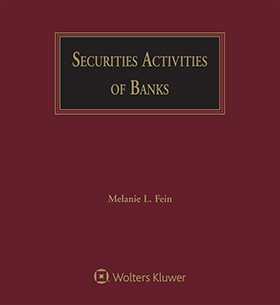 The Fourth Edition of a leading resource in the field, this valuable practice tool brings you completely up-to-date on the evolving laws governing banks' securities activities - from regulatory changes in the financial markets and administrative reform to recent court decisions and legislative reform, including the recently enacted Dodd-Frank Wall Street Reform and Consumer Protection Act and the "Volcker Rule" restrictions on investment and trading activities. Here is everything you need to help build a bank's securities business while avoiding compliance pitfalls. Up-to-date analysis of the evolution of the banking laws through agency and court decisions. Detailed descriptions and analyses illuminate the full range of current bank securities activities, including investment and trading activities, brokerage activities, investment advice, underwriting, mutual funds, international securities activities, derivative instruments, deposits and loans, fiduciary activities, and more.